Tips to Make End Of Tenancy Cleaning a Breeze! If you’ve rented a house or an apartment before, then you know that end-of-tenancy cleaning can be a stressful process. For some reason, the house gets twice as dirty in the process of moving and getting it clean enough to fulfill your obligation as a renter can be a difficult prospect. But it’s not impossible. There are ways to tackle the end of tenancy cleaning so that it isn’t unduly stressful. Though you do need to return your house to the landlord in good shape, there is no reason for you to stress yourself out while doing it. Try out our quick tips to improve your end of tenancy cleaning experience. There are different ways you can organize the way you clean a house, and all of them are effective depending on your own cleaning preferences. The important thing isn’t coming up with the perfect plan, rather it’s coming up with one in the first place and assiduously sticking to it. Figure out whether you want to clean your house room by room, floor by floor, or from ceiling to floor. Room by room cleaning entails completely cleaning a room before moving on to another one to repeat the process. Floor by floor cleaning works along the similar lines, you just have to go from one floor to the next. Floor to ceiling cleaning involves cleaning your house from top to bottom—doing all the ceilings in all the rooms first, before moving on to the walls, and finally getting to the floor. Having the right cleaning supplies is crucial for your end of tenancy cleaning. Make sure that the products you use are as natural as possible and non-toxic. Working with toxic substances can be dangerous for your health, and might even end up damaging the house you’re trying so hard to clean. Dirt and filth tend to hide in unexpected places, like the top of a fan blade or between two heavy appliances. Always try and clean after you’ve moved out to ensure that you have an easier time cleaning the area, and always keep an eye out for hidden dirt. This last one may seem like defeat in the face of cleaning, but really, it might be the smartest decision you make. Shifting is already extremely stressful, and often carried out on a tight schedule; the last thing you need is to clean your previous house. In this situation, hiring a cleaning service may prove to be extremely wise, as the service will be able to take a significant weight off of your shoulders. Not only will you get your deposit back, but you’ll get it with minimal work and/or expenses on your part. 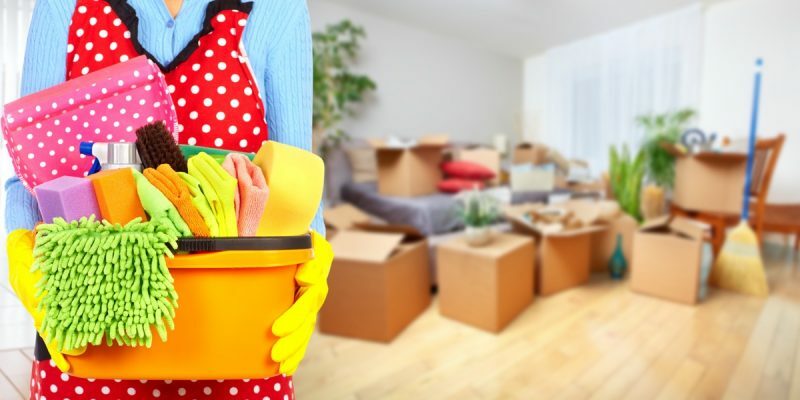 Top Cleaners offer excellent end of tenancy cleaning services right here in London; contact them if you’d like to solicit professional help to get you moved out properly and into your new home! End of tenancy is a necessary part of renting, but it doesn’t have to be a horrible chore. With some organization, focus, and help, you can get it done before you even know it.